I often wonder if there are any sentient beings in the universe who have evolved to be naturally compassionate and ethical and who value all life and what they would think of our treatment of one another and the other species with whom we share this world. Recently a fascinating report emerged concerning the possibility of intelligent life forms at the edge of the Milky Way. 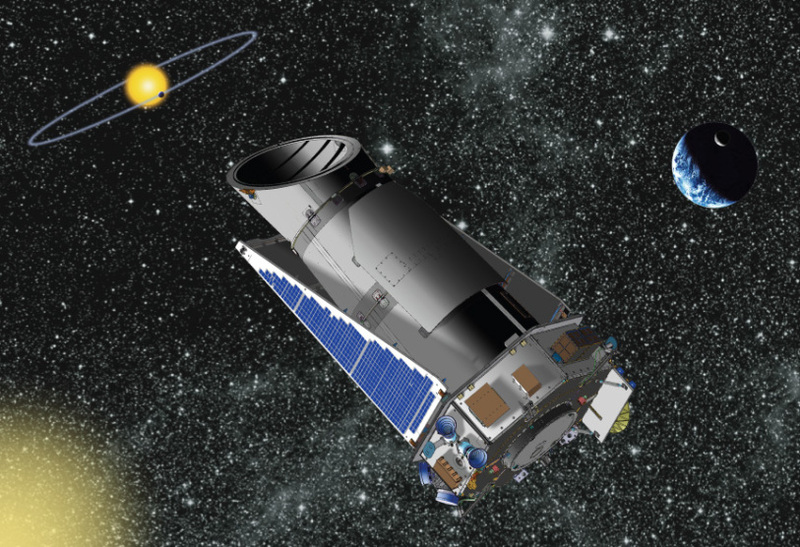 Has Nasa's Kepler Telescope spotted signs of alien life? All very exciting of course. It is unsettling to think that we may be alone in the cold vast universe and such a revelation that we are not would be earth shattering. I hope that one day we have proof of the existence of extra terrestrial life. I also hope that whatever form this life takes it is an advanced intelligence not just technologically but ethically, in fact the main consideration for me would be their ethical progression which I hope would surpass ours - after all it couldn’t be much worse could it? Today while sorting through my e-mail I have the usual inundation of requests to take action on behalf of animals, including the human animal. The human species of course is responsible for most of the suffering here on this earth for those weaker than himself, even his own kind and most certainly the other species with whom we share this world. Sometimes it can get depressing, I mean really depressing and the world feels as though it is a realm from some kind of alternate reality, a kind of hell dimension. To my mind the world is a seething mass of suffering of innocent defenceless beings - including other humans - their only crime is that they are weaker than their oppressors, those who determine what happens in the world, those who determine and condone the crime of genocide of millions of living beings both human and non human. Yes I know the word genocide is a word that if used correctly can be applied only to humans but I am going to apply it to animals along with the word holocaust which Charles Patterson suggests is an appropriate word to describe our treatment of non human animals. In his book "Eternal Treblinka: Our Treatment of Animals and the Holocaust" he compares how the Nazis treated their victims with how our modern societies treat animals. The title is taken from Nobel Laureate Isaac Bashevis Singer's now familiar quotation: "In relation to them, all people are Nazis; for the animals it is an eternal Treblinka." The Holocaust and indeed the genocide of the animals is on going and is unlikely to end in the foreseeable future. Would the observer question why those who were opposed to such either didn’t speak out or were so few in number that when they did little changed.Would they wonder why the vast majority where oblivious or indifferent or never questioned the pervasive evil that befell those weaker than themselves. Would they wonder why humans never questioned that meat was not a natural diet or that it was wrong to exploit animals for entertainment including the barbaric pass-time of the so-called "sport" of hunting and shooting. Would they be astonished that some people felt that it was a right of freedom to murder helpless animals for sport or why humans thought it right to murder en masse millions of helpless people in the insane massacre of warfare in the relentless quest for wealth and power under the guise of justice, defence and even peace. Would a civilisation for whom warfare has been abolished from living memory or for whom such had never been part of their way of life be appalled at the numbers of people who have died during earth's most recent conflicts let alone the untold millions who have died during these unrelenting periods of mass insanity since humans evolved. Over 60 million people were killed in WW11 about 3% of the 1940 worlds population 80 million of deaths from war-related disease and famine are included, it was the deadliest conflict in history. World War 1 resulted in the deaths of over 38 million casualties with over 17 million deaths and 20 million wounded. The slaughter continues relentlessly such as for example a result of intervention by the USA 10 to 15 million deaths during the Korean and Vietnam Wars and the two Iraq Wars - this is among the examples from 37 countries. Don't forget of course the involvement of many of the USA's allies including the UK which is always keen to intervene in conflicts, most notably in the middle east in recent years. How would a moral alien species view our brutal history of destruction and genocide that continues today unabated. They would surely be horrified by the events of brutality and violence in our past , Genghis Khan, the crusades, the inquisition, slavery, ethnic cleansing - the Genocide of the Native American civilizations, the Australian aborigines and so on and on right to the present day with the death toll increasing with the use of ever more destructive weapons with the loss of millions of innocent lives including those of other species who of course get caught up in the insanity. Here is a list that includes many of the atrocities man has perpetrated against his fellow-man. It would take some time to record all the atrocities, all the neglect, all the exploitation to animals both human and non human. What would an ethical alien species think of the most powerful animal on the planet, namely human beings, the most controlling and self serving creature that ever walked the face of the earth. A powerful species determining and manipulating the lives of myriads of other species to suit his desire, even the very environment itself until seemingly obviously to his destructive agenda he hovers on the brink of extinction in the same way that his actions have brought countless other species to this untimely fate, but nevertheless relentlessly ploughs forwards hell bet on limitless acquisition at the expense of other beings even those of his own kind and the very earth itself as he plunders the ever diminishing resources. Thanks to human beings the world is in the grip of the sixth extinction event. "Conservation experts have already signalled that the world is in the grip of the "sixth great extinction" of species, driven by the destruction of natural habitats, hunting, the spread of alien predators and disease, and climate change." The toll of human destruction, greed and exploitation is shocking but there are good people in the world. A reminder that although it may seem that the good guys are outnumbered in this world their are many who care for other people and other animals. PLEASE SHARE for the good of humanity.